Arizona restaurant street-cred is on the rise. Just this year, The Guardian published an article about the eclectic and culturally diverse culinary scene in Phoenix. 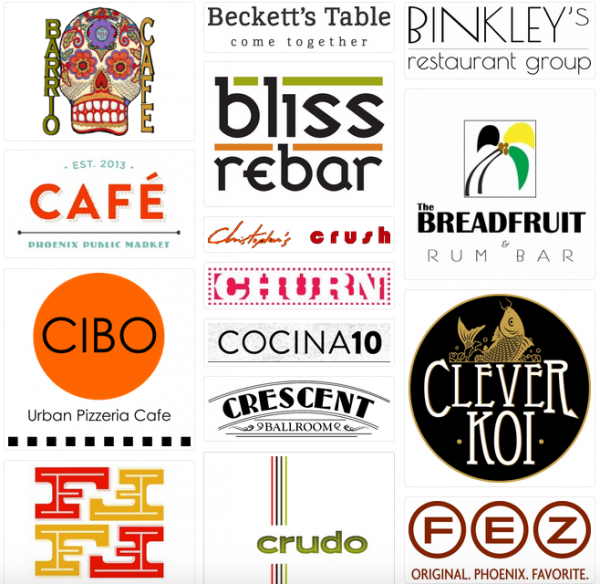 This city’s evolution into a foodie oasis is thanks to the growing local businesses of Devour Phoenix, a coalition of independent restaurants working with our friends at Local First AZ. At Bookmans, May is our month to geek out over all of your favorite things. Gather up those collectibles & comics, but don’t forget to show some love to the the most delicious of pastimes. From tacos to antipastos to pizzas, these local Arizona restaurants offer some of the best fare in the state. And even better, supporting local businesses keeps more funds here in our communities. Studies have shown that for every $100 spent in a locally owned business, roughly $42 remains right here in Arizona, while for the same $100 spent in a national chain, only $13 remains here. Get those forks & knives ready and head out on a local culinary adventure. Today, we’re highlighting five of our favorite Arizona restaurants. Luckily, each of the top five are moments away from Bookmans Phoenix. This summer, get on the road and explore one or all of these local gastronomic gems. Then, stop in at Bookmans to peruse our awesome cooking section for some rad finds. Discover this award winning Jamaican restaurant tucked into the heart of Downtown Phoenix. The Breadfruit’s perfectionism shows when it comes to creating unique and flavorful cuisine. Enjoy fresh ingredients from their farm-to-table model and support local sustainable food producers. With two locations, in Phoenix and Gilbert, The Clever Koi provides unexpected Asian-inspired dishes with unique flair. The kitchen’s wood-fired grill aroma is delightful and guests can watch as chefs make dumplings, noodle dishes & small plates that incorporate flavors from Thailand, Korea, China, Vietnam, Japan, and Indo-China. If you don’t happen to know famed Phoenix Chef Silvana Salcido Esparza, now is the time to get acquainted. Indulge in her unique cuisine that highlights different aspects of Mexican American culture. Chef Silvana’s work in the community has brought together food, visual arts, outreach and cultural awareness in Phoenix. Be sure to try the Cochinita Pibil, Chiles en Nogada and Chef’s tableside Guacamole. Residing in a 1950s First Federal Bank building (hence the name) Federal Pizza is a visually stunning midcentury modern delight. Try one of their signature wood-fired pizzas, sandwiches, pastas, and salads. As part of the Upward Projects family, Federal Pizza holds its own along side Postino, Joyride Taco, Windsor and Churn. Beckett’s Table has been a staple of Central Phoenix since its 2010 opening in the Arcadia neighborhood. Only the freshest ingredients are used from farms no further than 30 miles of the Beckett’s Table kitchen. Specializing in sophisticated comfort food and open kitchen, this restaurant recreates the familiarity of home cooked meals paired with innovative cuisine. One of the best parts of trying out local restaurants is discovering something new and delightful. Take a cue from these amazing selections and apply that inspiration to home-cooked fare. We’ll keep the cookbooks stocked. Bon appétit!